The Association of Teacher Educators was founded on February 26, 1920 (first organizational meeting) as the National Association of Directors of Supervised Student Teaching with 22 charter members and annual dues of $1.00. The first annual meeting was held in Atlantic City on February 28 and March 1, 1921. E.I.F. Williams became Secretary-Treasurer. Membership in 1921 stood at 226. Annual dues were raised to $2.00 in 1922, and in that year the group changed its name to the National Association of Supervisors of Student Teaching. In 1924 the first yearbook was published, containing papers presented at the annual meeting. The printing and mailing costs for that yearbook came to $64.25. 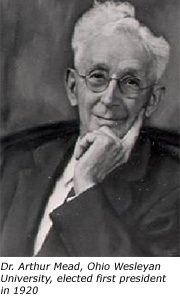 William C. Bagley was selected for Honorary Membership (later, under ATE, Distinguished Member). In 1935 John G. Flowers succeeded E.I. F. Williams as Secretary-Treasurer. In 1937 dues were reduced to $1.50 and the association broadened its focus beyond student teaching by selecting this theme for its annual meeting: The Integration of Laboratory Phases of Teacher Training with Professional and Subject Matter Courses. In 1938 J.W. Carrington succeeded John G. Flowers as Secretary-Treasurer. The first summer workshop was held in Pineville, Kentucky in August 1939. The theme was Major Issues in Teacher Education. The Ohio Unit was the first unit to be organized under a new constitution in 1939, The Kentucky Unit was established later that year. By 1940 the association had 340 members. The Yearbook that year reemphasized the importance of the community centered school and the larger laboratory concept it provided for student teaching and teacher education generally. In 1942 Allen D. Patterson succeeded J. W. Carrington as Secretary-Treasurer. The National Association of Supervisors of Student Teaching joined the Council on Cooperation in Teacher Education that was organized by the American Council on Education's Commission on Teacher Education. The Annual Meeting was canceled in 1943 but held again in 1944. The name was changed again to the Association for Student Teaching in 1946. In 1948 the first postwar summer workshop was held at Greeley, Colorado. In that year also the first yearbook was planned, written and edited by a specially selected committee to develop a single theme. The title of the first yearbook was Professional Laboratory Experiences: An Expanding Concept in Teacher Education. In 1949 the summer workshop was held in Cullowhee, North Carolina, and the yearbook title was Evaluation of Student Teaching. The Annual Meeting that year was held in Atlantic City with the theme Facilitating Desirable Professional Programs for Prospective Teachers. Attendance was 140. 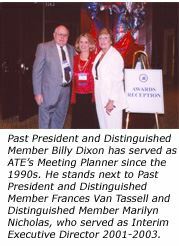 In 1952 the first Annual Meeting was planned by a state unit, and this was also the year of the first Annual Meeting held in Chicago concurrently with that of AACTE. The yearbook that year was entitled Ways of Bringing About Change in Teacher Education. The first bulletin was issued, titled Guiding Student Teaching Experiences. The series was to present manuscripts dealing with problems directly related to supervision of student teaching. Plymouth, New Hampshire, was the site of the summer workshop. The title of the 1953 yearbook was Curriculum Trends in Teacher Education. In that year the Research Committee was revived. In 1954 a registration fee for the annual conference was charged for the first time. The fee was 50 cents. The title of the yearbook that year was Facilities for Professional Laboratory Experience. In 1956 Alfred C. Moon succeeded Allen D. Patterson as Executive Secretary. He became the first appointed officer with some release time for that purpose. The central office with a small part-time staff was established at Iowa State Teachers College in Cedar Falls. The drive to incorporate as a nonprofit organization was initiated in that year as well. The title of the 1956 yearbook was Four Went to Teach. The summer workshop was held in Spearfish, South Dakota, with the theme High Quality Professional Laboratory Experiences -- A College-Public School-Community Cooperative Enterprise. The first AST clinic was held at the University of Kentucky in 1958. Clinics were organized to provide carefully patterned evaluation of organization and content of the student teaching program of the host institution and its surrounding area. The yearbook was produced in collaboration with the National Society of College Teachers of Education with the title Improving Instruction in Professional Education. The first summer workshop outside the continental U.S. was held in Puerto Rico with the theme Improving Theory and Practice in Teacher Education. By 1959 the association had more than 3,000 members. The 1959 yearbook was titled The Supervising Teacher, and more than 600 participants attended the Annual Meeting for AST. In 1966 AST published its first official position paper, The Supervising Teacher: Standards for Selection and Function. AST also became involved in the study and revision of NCATE standards. Alfred C. Moon died that year, and President Dorothy McGeoch assumed added responsibilities. In 1967 AST became affiliated with the National Education Association and the central office was moved to the NEA Building in Washington, D.C. Richard E. Collier was named the first full-time Executive Secretary. In 1968 AST joined with AACTE in publishing Partnership in Teacher Education. Hawaii was the site of the summer workshop with the theme Contributions of the Behavioral Sciences to Teacher Education. AST joined AACTE and NEA in sponsoring the ERIC Clearinghouse on Teacher Education in 1969. Most of AST's recommendations were incorporated in the new NCATE standards. The summer workshop was held in Bloomington, Indiana, with the theme Analysis of Teaching. In 1970 the name of the association was changed to the Association of Teacher Educators when it celebrated its 50th Anniversary at its conference in Chicago. L.O. Andrews, Cortlandt Colson, Margaret Lindsey, Dorothy M. McGeoch, Alfred C. Moon, and Edgar M. Tanrtuther became Honorary Members. The new constitution provided for wider participation and greater involvement by the membership. New purposes were: (1). Provide opportunity for individual professional growth for all persons concerned with teacher education; and (2). Promote quality programs for teacher education. The Delegate Assembly was created, representing membership through state, regional and international units, and it became the basic policy-making body. In 1971 Melvin C. Buller succeeded Richard E. Collier as Executive Secretary, and the first meeting of the Delegate Assembly was held. The theme of the annual conference was Teacher Preparation: The State of the Art. The summer workshop was held in Moorhead, Minnesota, with the theme Research and Development in Teacher Education. In 1974 the Central Office was moved to 17th and K Streets, NW, Washington, D.C., and ATE disaffiliated from NEA. It became a completely autonomous organization and made plans to hold an Annual Meeting in New Orleans in 1975 separate from AACTE and away from Chicago. In 1975 ATE became an associate member of NCATE. The theme of the Annual Meeting in New Orleans was Teacher Education: The Impact of Challenge and Change. Ewald B. Nyquist delivered the First Annual Distinguished Educator Lecture. The titles of Executive Secretary and Executive Committee were changed to Executive Director and Executive Board. 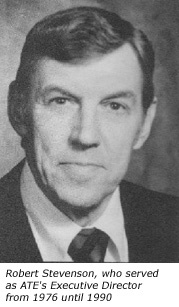 In 1976 Robert J. Stevenson succeeded Melvin C. Buller as Executive Director, and the Annual Meeting was held in St. Louis with the theme Spirit of '76 -- Governance and Education. Membership dues were increased to $35.The summer workshop was held in Memphis, Tennessee with the theme Into the 80's and Beyond.